General Mills is launching a new cereal, for the first time in a long time. 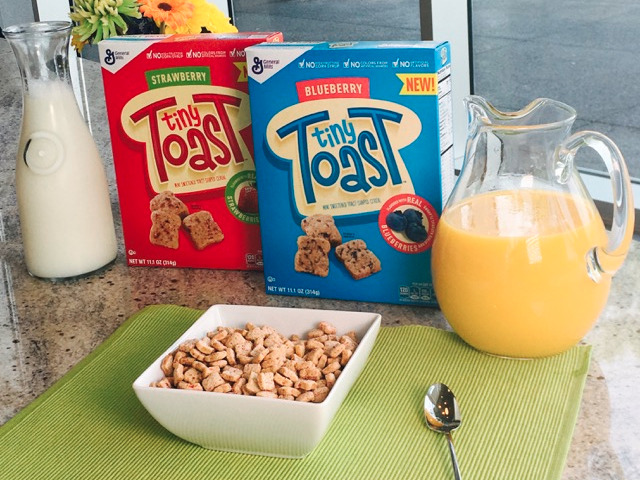 On Monday, the company announced that it will be launching a cereal called Tiny Toast this month, in both blueberry and strawberry varieties. According to General Mills, the cereal is intended to have the “all-family appeal” of brands such as Honey Nut Cheerios and Cinnamon Toast Crunch. Tiny Toast is General Mills’ first new cereal brand since 2001, when the company released Harmony cereal, a “low-fat nutritional cereal for women” that has since been discontinued. With Tiny Toast, General Mills says it is attempting to replicate the taste and smell of real fruit. “People told us that both varieties tasted real, not fake like they typically associate with fruit-flavored cereals,” Mike Evenson, product developer in the company’s Innovation, Technology and Quality division, said in a General Mills’ blog post on the new cereal. The launch of Tiny Toast comes at a tumultuous time for the cereal industry. The breakfast food has struggled in recent years, with cereal sales dropping 5% from 2009 to 2014. There are an increasing variety of breakfast foods on the market — many of which millennials believe to be more convenient than the classic bowl of cereal and milk. General Mills has been fighting back with by cutting artificial flavours from cereal. The “real fruit” appeal of Tiny Toast is another step in the direction of pushing for cereals’ comeback by proving that it too can be a authentic breakfast option, worthy of dirtying a spoon and bowl.